LG SELFIE CONTEST. LOTS OF PRIZES TO BE WON. 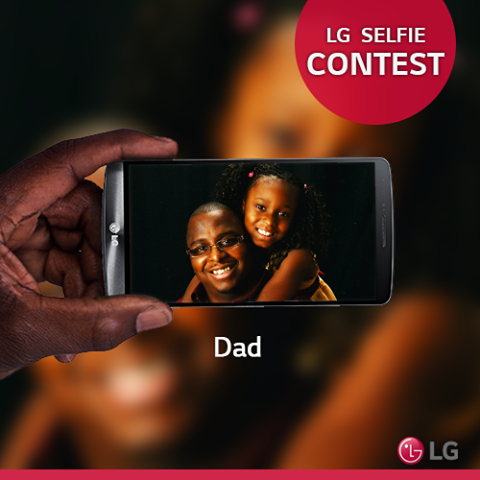 Get your LG smart phones ready to take selfies as we bring your way the LG Selfie Contest. You are to take selfies daily with people, at different places. For the next four weeks, every Saturday, fans will be asked to vote for the best selfies from the selected selfies on our Monday to Friday posts, giving us a total of four winners, which will be rated 1st, 2nd, 3rd and 4th, according to the number of votes they get. Remember to Like, Comment & Share all posts...Let’s have fun!